“All aboooooaaaaard!” Whether you love to watch the big freight engines rumble by, or you just ride a commuter train to work, the safety rules around trains are pretty simple for most of us. Look both ways before crossing the track, and never try to beat a train, for example. 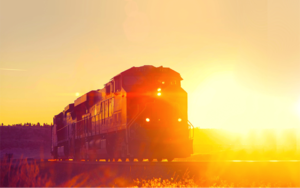 If you’re a rail operator, however, safety is a much more complicated challenge—such as making sure you always have the right people on the right positions, and ensuring that the crew is properly trained, rested, and has up-to-date safety certifications. 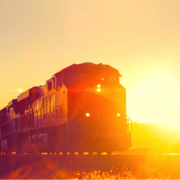 Helping rail operators tackle that huge challenge is CrewPro, the railroad crew management software from PS Technology, a wholly owned subsidiary of the Union Pacific Railroad. The original versions of this package run on mainframes and still are used by railroads ranging from the largest Class I freight operators to local rail-based passenger transit systems in major US cities. Those railroad operators use CrewPro to handle complex staffing issues on the engines and on the ground. The demands include scheduling based on availability and seniority; tracking mandatory rest status; and managing certifications and qualifications, including pending certification expirations.